Michelline Smith (seventh from the right) enjoys a day of working outdoors in NARS’ simulated rail yard. She started saving 12 years ago, in 2006. That’s when Michelline Smith realized it was time to re-examine her life. She wanted to find a career she liked but, more important, she wanted to make tracks to move her family out of the South Side of Chicago. The area she and her family have called home for generations is tough – blighted with one of the highest murder rates in the country. A paramedic for more than 10 years, Smith found herself growing mentally numb to shootings. She worked 12-hour shifts to support and educate her four daughters while literally attempting to save her neighbors from themselves. It left her with embedded emotional shrapnel that may never heal. Smith had long dreamed of working for a railroad company. It seemed transportation was in her blood. Her mother worked for the Chicago Transit Authority. Smith researched many railroad training programs, but she kept coming back to JCCC’s National Academy of Railroad Sciences (NARS). Smith took a leap of faith. 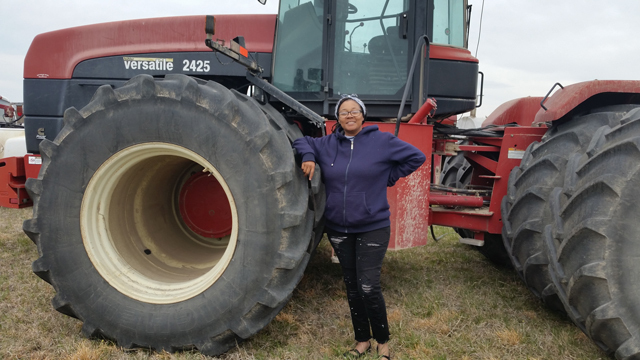 She quit her job, left her 11-year-old daughter with her mother, bought railroad-approved footwear, booked a flight to Kansas City and reserved an Airbnb in Overland Park. Persistence paid off ­­– big time. Two days before Smith finished her six-week NARS conductor training course, Canadian Pacific came calling. Smith received an $80,000 job offer (closer to six figures after adding overtime and benefits). Six days after graduation, she was in Minnesota training for her new job as a freight train conductor. On the job, Smith is one of just two people operating a train that can be 100 cars or longer. An engineer handles the driving while she covers everything from braking and track switching to ensuring the cars are in good working order. The days are long – 12-hour shifts, six days a week – but that’s nothing new to Smith. Smith acknowledges that she worked hard to graduate from NARS, but she’s extremely grateful for the friendly staff at JCCC. Anne Rubeck, Digital Strategist, answered a call when she heard a NARS student needed transportation to and from campus. Turns out Smith’s Airbnb was just a few blocks from Rubeck’s home. They became fast friends and Rubeck even took Smith to visit her family’s farm in Garnett. “He stayed late and came in early and did everything in his power to make sure we all knew the material,” Smith said. Brown commented that Smith was one of the most focused and best students he’d had in class to date. 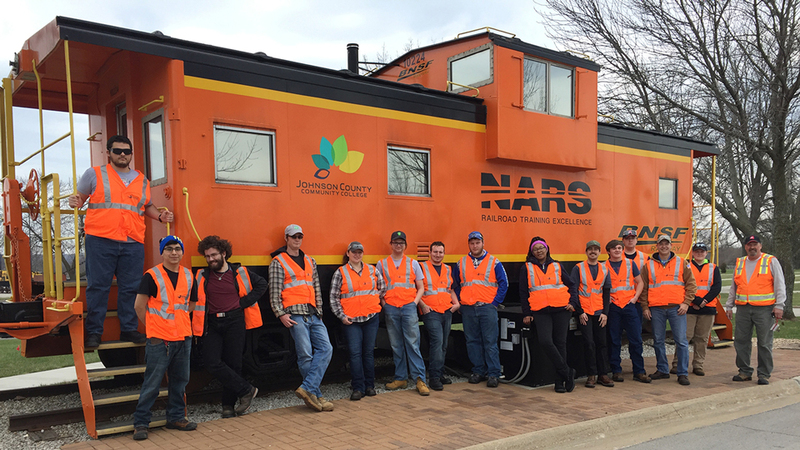 The industry is male-dominated and few females enroll in NARS training, even though companies are encouraging women to find railroad careers. NARS Director Terry Harrison and NARS Training Coordinator Gretchen Henderson also made an impact on Smith. Harrison helped Smith fill out her job application for Canadian Pacific. Smith also ran into President Joe Sopcich in the Commons. What’s down the line for you? If you are ready to get rolling with a railroad career, call the NARS staff at 913-469-8500, ext. 2222, or visit jccc.edu/NARS.